With 20 years’ experience in building design and construction industry of which 10 years on Vancouver Island, Cezar E. Cristea can create personalized design services for custom homes and renovations. Devise Design is a custom residential design firm based in Vancouver, with projects ranging from small renovations to large new builds, both locally and internationally. Employing a pragmatic approach, we endeavour to find the balance between form and function, bringing aesthetic, as well as functionality, to exterior, interior, and outdoor environments. We work closely with our clients to invent spaces that reflect their lifestyle and personality, and deeply believe that the process itself should be fun and rewarding. Robert Blaney was born with a creative mind. Architecture, art and anything in the creative realm is what has captured Roberts’s attention from a young age. Based on a understanding of architecture, planning and the natural environment JWT Architecture aims to connect modern structures and the landscape in which they are placed. Everyone has ideas and dreams about what they want their home to be but bringing that dream into reality is something quite different than having the dream in the first place. The extraordinary thing about Walter is that when the going gets rough he can guide you back to Never Never Land where gumdrop trees really do exist and he knows the landscaper who can plant them. Do you want green, lemon-lime or berry flavor? Best of all - he makes it fun and keeps you involved - from coloring elevations to making budget calls - which is really important during the course of construction when people's heads can actually explode from the pressure. A terrible way to go - just on the verge of moving in. Got an idea - head for the shop. The shop is a place where Santa's elves go for training. Nothing you can imagine is beyond Walter's ability to push it further, build it better and make it nicer. All in all Walter is one of the most gifted designers alive today - as the homes and the reviews can testify. Although you may be surprised at some of the decisions you make along the way to getting there - it will be fun - and you will end up with a home far beyond your wildest dreams! We're Making PLANS... For Your Future!™ Datum Point Studios Inc. is an Award Winning building design studio, specializing in the Planning and Design of Fine Custom Residences and Quality Market-Ready Homes. Founded in Nanaimo, BC Canada in 2015 and has since grown into an extended firm of 6 talented designers and professionals who believe in creating satisfied client-driven projects. Our goal is to provide design solutions through insightful collaboration. To not only strive to find the balance between comfort, practicality and beauty, but to ultimately create spaces in which to live and work, that enhance people's lives! Established in 1985, Frits de Vries Architect Ltd. is an award-winning, Vancouver-based Architectural firm with a focus on custom residential homes. We work with both private individuals and developers to create unique designs that are a both client and site specific. Our homes are highly tailored to the unique requirements of each client, and the designs are a direct reflection of not only their needs, but their personality. We act as consultants and advocates for our clients from concept design through to construction services. As designers of the first LEED Platinum Home in Western Canada, we strive for environmentally conscious designs that are as sustainable as they are elegant. Although we work primarily on custom residential homes for private individuals and developers, we have experience in municipal projects, complex additions and remedial work, retail design and interiors, as well as sustainable architecture. Frits de Vries Architect Ltd. has a successful track record in delivering projects on time and on budget. We are a mid-size firm of registered Architects, experienced designers and technicians. Our smaller size, flexible structure and diverse skill-set allow us to dedicate a well-balanced team to each project, and to engage in a collaborative process with each client. Each project receives personal attention from Frits, resulting in thoughtful design solutions, and smooth project delivery. We invite you to contact our office to discuss your project in more detail. 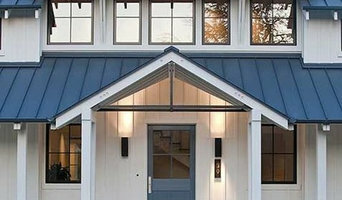 How do I find the best Nanaimo architect for my home design project? It is best to hire a home architect who will be involved in all phases of the design process, from the initial concept to the completed construction. The architect is often the first person you will hire for your project. If necessary, they might also help you select and hire British Columbia subcontractors, which can include the builders, engineers and landscaper. Interior architects are also involved in negotiating contracts for all involved participants. It is for these reasons that it is extremely important for you to have a good relationship with the Nanaimo residential architect you hire. He or she can be the tie-breaking vote between you and the general contractor and can be your biggest advocate during the construction process. Different architecture firms in Nanaimo, BC provide different services, so the scope of the work can span from pre-design environmental impact studies to selecting furniture and finishes, depending on what your specific needs are. It is very important to hire the right professional for the job. Remember that the most well-known or established designer might not provide the best architectural services for your needs. It all comes down to the individual project. Research and ask people whose work you like for recommendations. It's important to have somewhat of an idea of the style of house architecture that you prefer, as well as the amount you would like to spend. 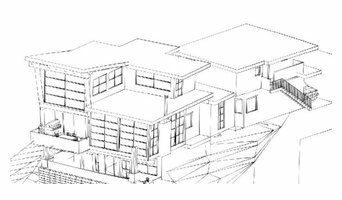 Residential architects in Nanaimo, BC are natural problem solvers. They will assess the entire situation and help you to solve your problems too. Don't settle for a single company too early. Call and interview a few. Make sure that you feel like your personalities will mesh well and that you like their professional perspective. 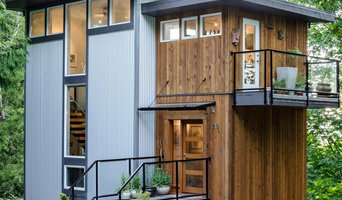 Find a home architect in Nanaimo, BC on Houzz. 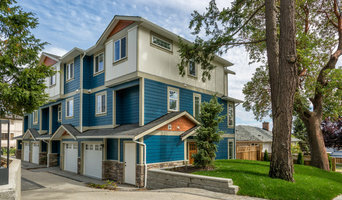 Narrow your search in the Professionals section of the website to Nanaimo architects. You may also look through photos of British Columbia projects to find interior architects and building designers who have worked on a project similar to yours.